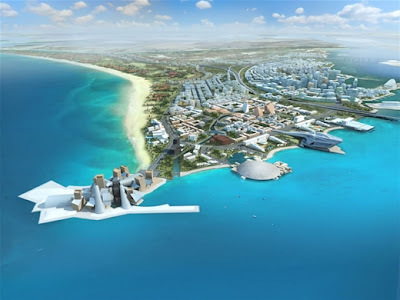 A future tourist destination, not yet completed, and home to dolphins and turtles, is Saadiyat Island, just 500 meters off the coast of Abu Dhabi. This island has it all, accommodation, a nature reserve, cultural aspects, business, and various activities. The island just 15 minutes from the Abu Dhabi airport and an hour from Dubai is reached via two highway bridges. What caught my attention about this island is that the world's largest museum, Louvre is going to open a branch in the island! I'm having mixed feeling about this mainly because I love the Musee de Louvre, I can't imagine that there will be another even if it has different display collections. Still the name!! I won't complain more, just because I love museums and having one less than 2 hours away from me (transportation wise in plane or car) is unbelievably! The Louvre Abu Dhabi designed by Pritzker Prize-winner Architect Jean Nouve is estimated to open in 2013. 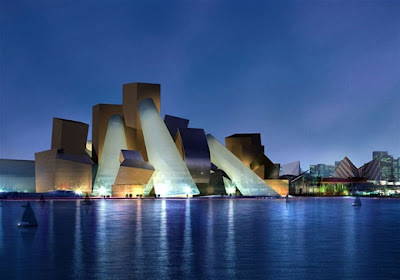 Guggenheim Abu Dhabi (2013) designed by world-renowned architect Frank Gehry. There's a golf course which have already been completed. The gulf's very first water front golf course. New York University will be opening a campus there!! The Promenade district is family friendly. 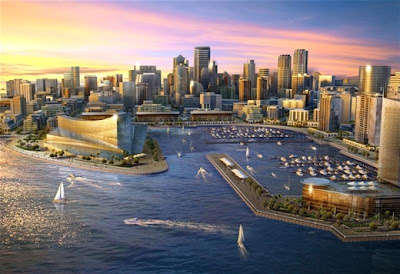 It has the hotels, shopping, restaurants, leisure and entertainment facilities. Saadiyat Marina will be the commercial area with apartment and a vibrant nightlife. 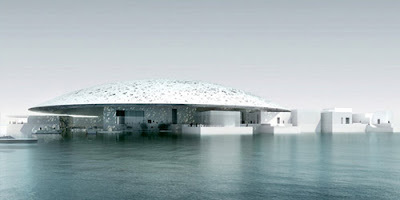 It includes the Maritime Museum designed by one of my favorite architectures, Tadao Ando! My friend's brother is very talented mashallah. One of his hobbies is to make an accessory out of Kuwaiti coins. She showed me some of his pieces and I bought a 1 fils one, the first purchase. I thought it was really nice and I like to encourage those with a talent, whatever it may be. 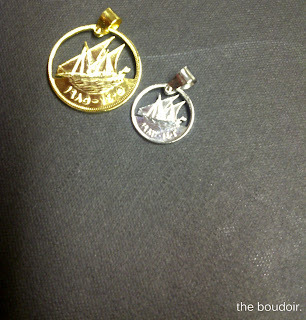 They are gold (21 carat) and silver plated. 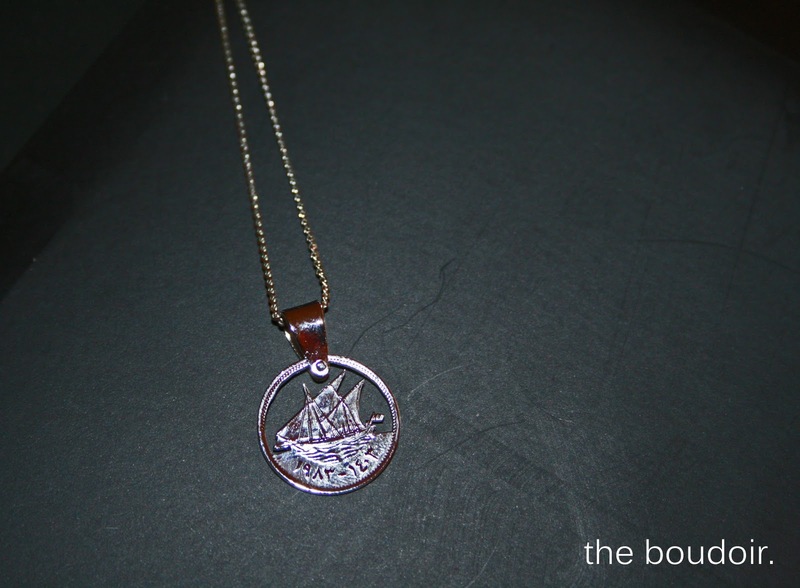 Sold without the chain. I don't think I've had Chai Duwa (black tea over coal) this much in my life. I've been having it a lot lately, in Dalag S'hail, Yom Bahaar, Haleeb o Hail, or in gatherings, and I'm not even a tea person. But the weather is forcing us to go ahead and have the black tea to keep us warm. Ryoog cafe has introduced this new concept Duwa o Chai in their cafe from 1-11pm. 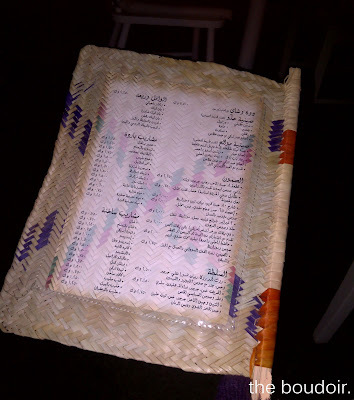 If you want to be served with the "Duwa" you have to be seated outside. 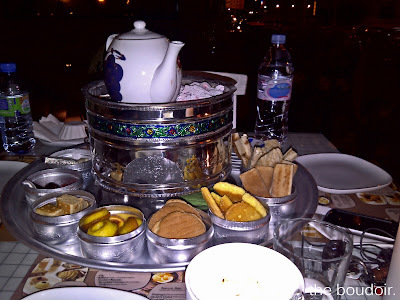 The weather was freezing, but you would hardly notice with the amazing service and the beautiful traditional trays of goodies. 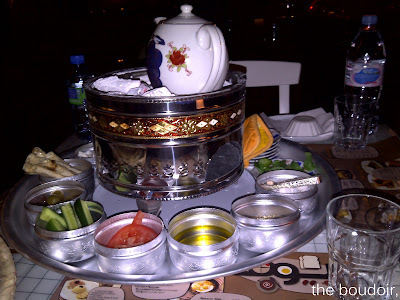 "Mawali7" Platter: zaater, cheeses, olives, olive oil, tomato, Irani bread. 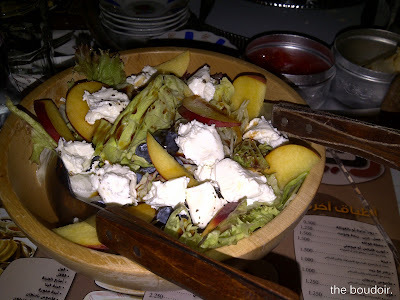 Salad: grilled goat cheese, rocca (omitted), lettuce, blueberries, peach, and pomegranate sauce!! Huge and fullfilling!